Iterative methods to solve linear large-scale discrete problems are well known in the literature. When the linear system is ill-posed and contaminated by noise, some kind of regularization must be applied in order to achieve a feasible solution. 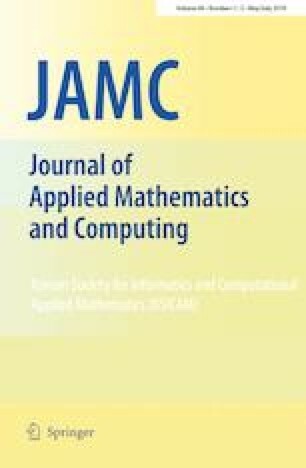 In the first part of this paper, we revisit briefly some known methods to solve large-scale ill-posed discrete linear problems which are easy to implement and have low computational cost, formulating them in a unified manner and also proposing simple modifications in order to improve their performances. Matrix forms of iterative algorithms can be formulated depending on certain conditions on the blurring process, and have the advantage of avoiding the formation and storage in memory of the matrix that represents the blurring process, which is generally of very large dimension. As an original contribution, in the final part of this paper we present the matrix forms of the iterative algorithms revisited and test them in the problem of restoration of an image degraded by blurring and noise. The first author would like to thank Prof Teresa Regińska for the interesting papers provided by her.